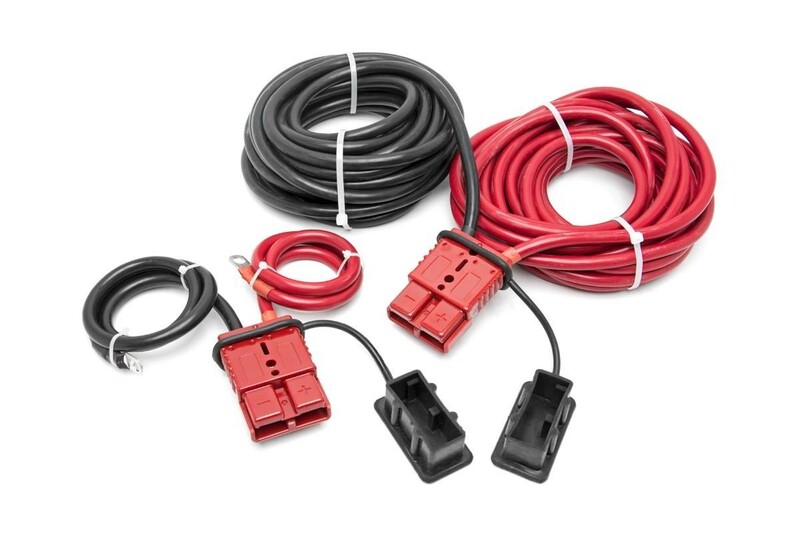 Our heavy-duty Quick Disconnect Cables make moving and using your winch incredibly convenient. A secure and easy quick-snap design lets you power up your portable winch without ever popping the hood! These heavy-duty power cables feature 2 Gauge Copper Wiring for optimum power and durability.